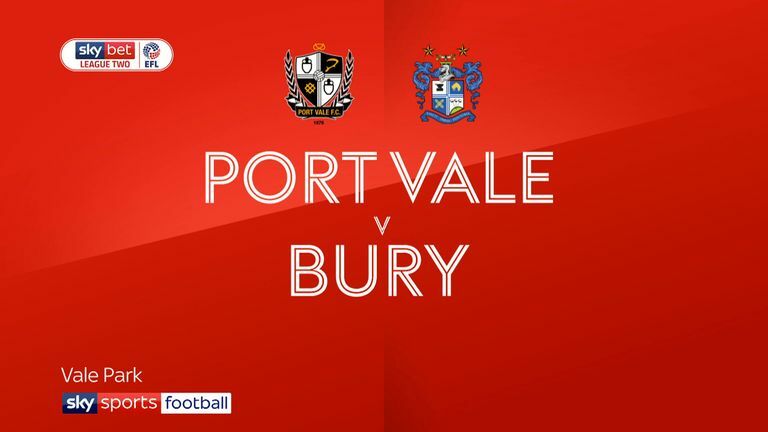 Former Bury striker Tom Pope notched the decisive goal as Port Vale secured a fourth-straight clean sheet following a narrow 1-0 win. Bury enjoyed the better of the first period, with Neil Danns going close early on. Nicky Maynard then saw a low shot saved well by Scott Brown. Maynard thought he had scored when he drilled inches wide after being teed up by Danny Mayor. 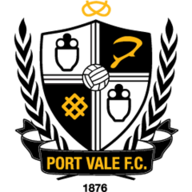 Stuttering Vale were jeered by the Vale Park crowds at the interval. Their best chance came when defender Connell Rawlinson headed onto the roof of the net as he rose to meet Theo Vassell's cross. Vale took the lead just six minutes after the restart. Mitchell Clark's cross was only cleared into Pope's path by Will Aimson, and the former Bury strike did not waste his chance, drilling home an angled drive from 10 yards. Luke Hannant almost made it 2-0, but his shot was blocked by Chris Stokes. 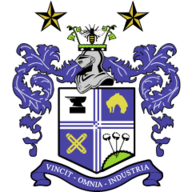 Bury came close to equalising in the 72nd minute when Mayor crashed a shot against the crossbar but the hosts held on.